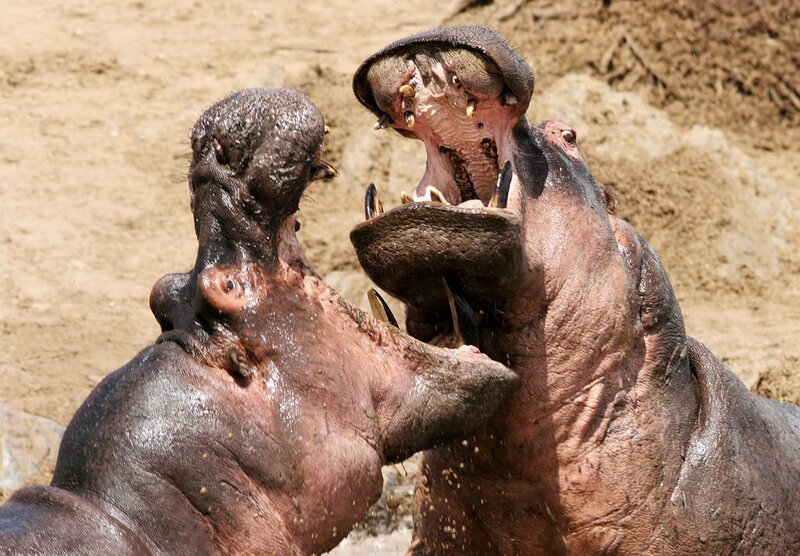 Hippos, for all their wallowing in the cool shallows of lazy river bends, are surprising creatures. Fat, short-legged and remarkably piggish in appearance, the humble hippopotamus is capable of running up to 30km an hour, much faster than a human. Powerful jaws can snap a small boat in half in just one bite. With their ancestry shared with the likes of whales and dolphins, it is easy to see why they are so well equipped for life in the water. 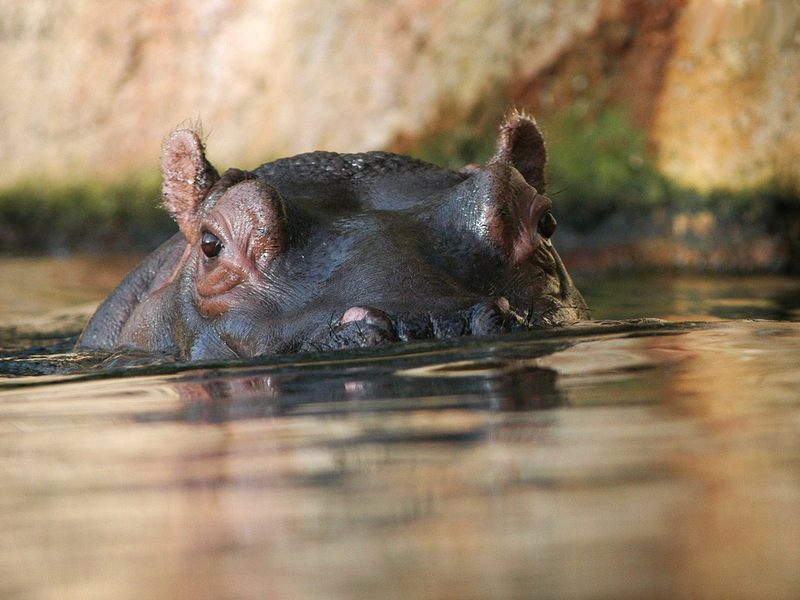 The eyes have sophisticated membranes that provide the hippo with a set of built-in goggles. When submerged, the nostrils use a flap mechanism to close completely, allowing a hippo to hold its breath for up to 5 minutes at a time. 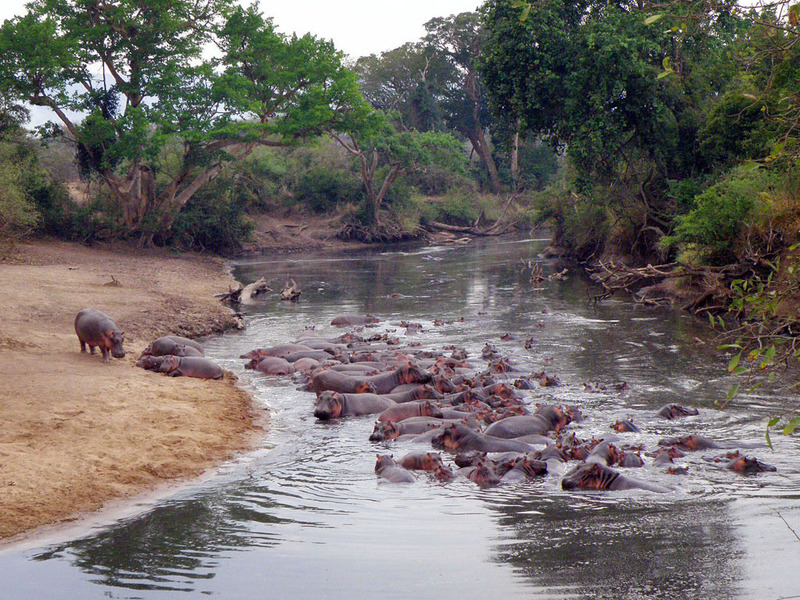 Despite spending their days in large territorial family groups along the river, hippos are herbivorous grazers who leave the coolness of the water at night to feed on lush green grass. 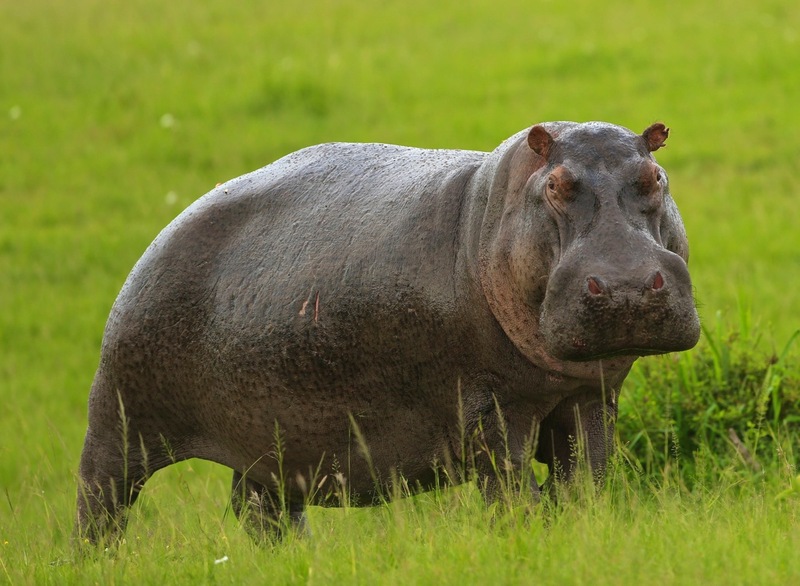 On dry land a hippo is solitary, non-territorial and no more a swimmer than a common dairy cow. 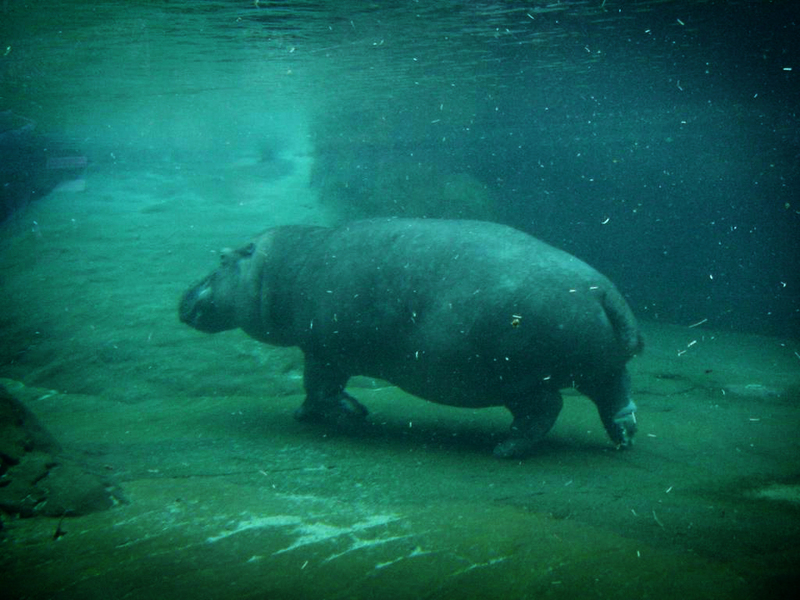 Despite spending most of their lives in water, hippos, unlike many mammals, are unable to swim. Using their built-in snorkel kits for support these aquatic giants walk along the bottom of the riverbed. They are simply too heavy to float. With nails instead of claws they push-off from the bottom of the river with semi-webbed feet, creating a graceful dance like motion. They are known as underwater ballerinas. Seemingly relaxed, hippos are agressive and considered one of the most dangerous animals in Africa. Perhaps the most surprising thing about a hippo is its milk. 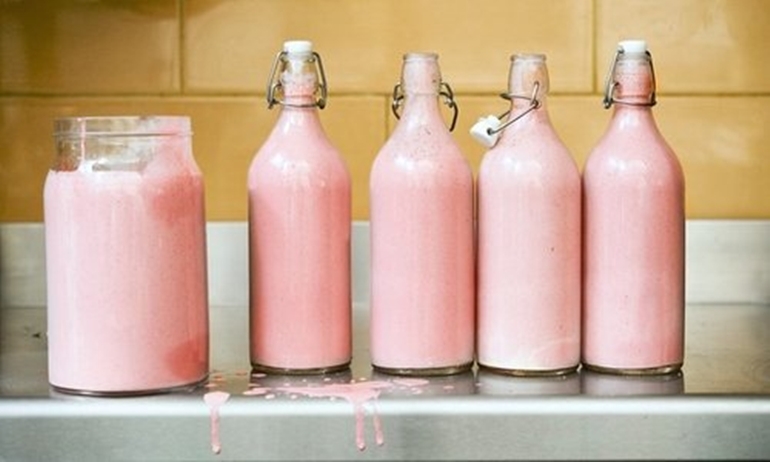 Hippos secrete hipposudoric acid which causes the milk to turn a bright shade of pink. Unfortunately, it doesn’t taste like strawberry.